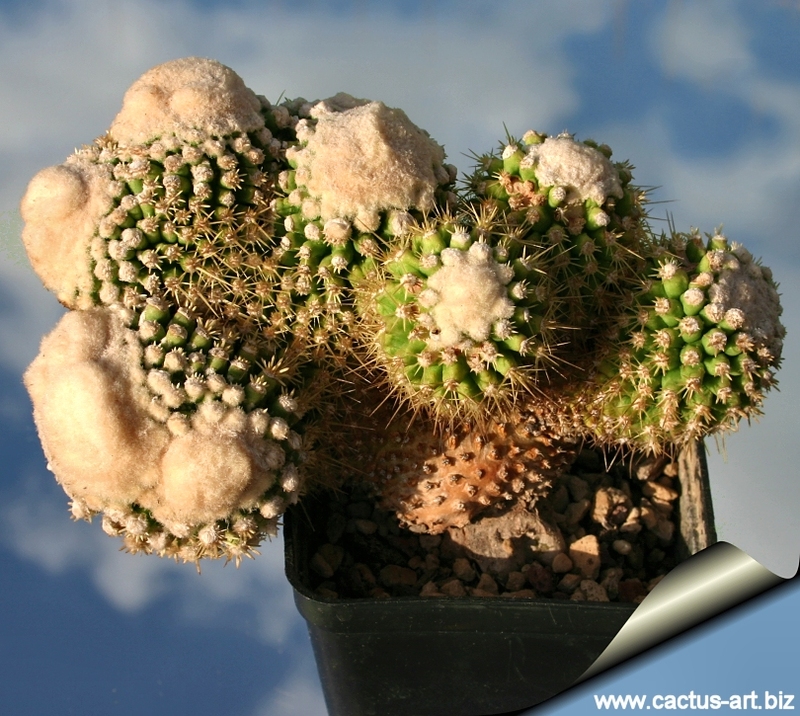 Description: E. grusonii mostruosus criastata is a rare nice form covered by white wool with short yellow spines. The crests are quite unstable, hence the rarity of this plant in cultivation. Cultivation: Frost tender but cold hardiness increases with improved drainage, so keep plants as dry as possible in winter. Provide the plant with extremely well-drained soils, as plants are subject to crown and soft rot if they remain too moist. 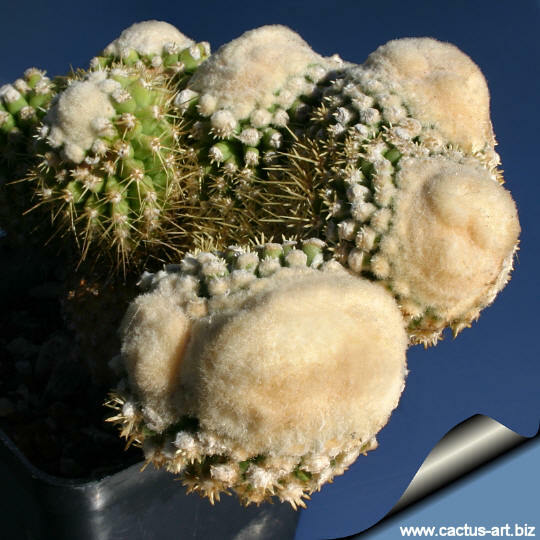 They grow best in full sun or half shade, which will help maintain the lustre of the spines and plants compact. 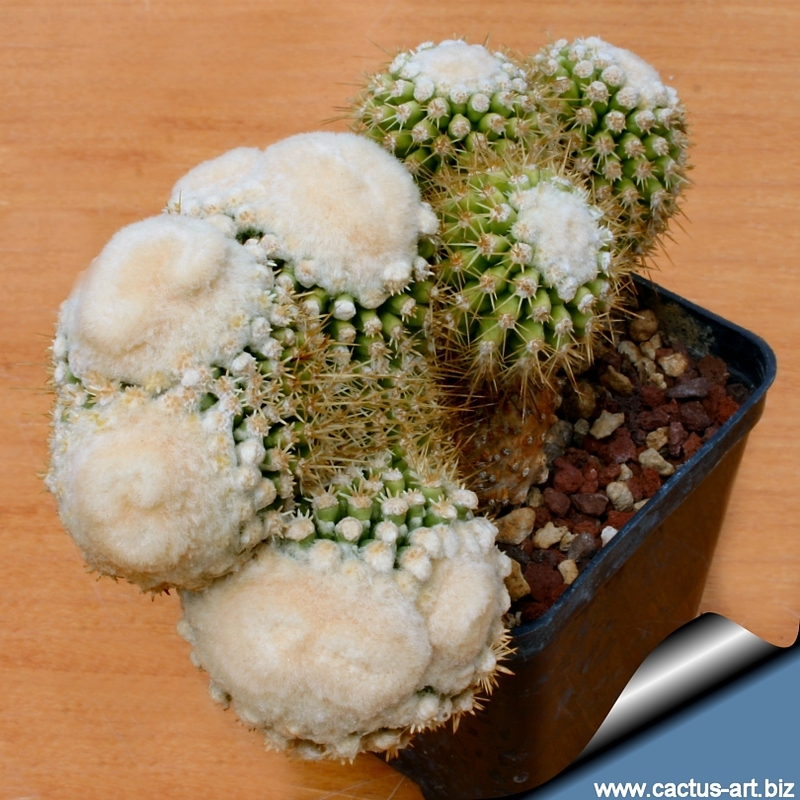 They are prone to mealy bug and red spider mite. Propagation: From cuttings (but it is difficult to grow this plant on its own roots), or preferably by grafting.